This week was our last at KTUH, our home for the past 6 years. To take us out with style, we had our guest DJ J-Boogie, Haboh, DJ Dora, and of course, Kevin. A big MAHALO to KTUH for hosting us for all these years. Please come and listen to us at our new frequency starting next week, Thursday September 6, on 90hz.org. This Thursday, August 30th is a very important show for us. It’s our last show live on KTUH FM Honolulu. That’s right, we’re moving! And this week is going to be one big party. We’ve got special guest and friend of the show (and KTUH), J Boogie as our guest on this week’s show. J Boogie will be performing at “Haight on Hotel” on Saturday, August 31 at Next Door. The Om Records artist is always very busy – we’re excited to hear his latest projects and what he’s got in the works. J Boogie is a fan of KTUH and has supported several of our shows over the years. 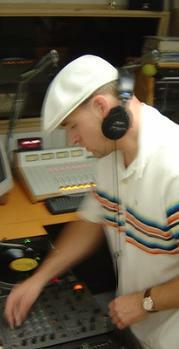 He is also a radio dj himself, having co-hosted “Beatsauce” on KUSF. His music incorporates latin and hip-hop influences with a healthy dose of jazz. He’s mad talented and we’re stoked to have him back! Just because this is our last broadcast on KTUH, doesn’t mean you can’t keep listening to The So Very Show. Next week’s show, on Thursday, September 6, 2007 will be our first show exclusively broadcast on 90hz.org. You’ll be able to tune in live, visit us in the chatroom and discuss the show and even make requests. Please take a little time to check out the station. Send us some feedback on what you think. We think it’s a great fit for us musically. 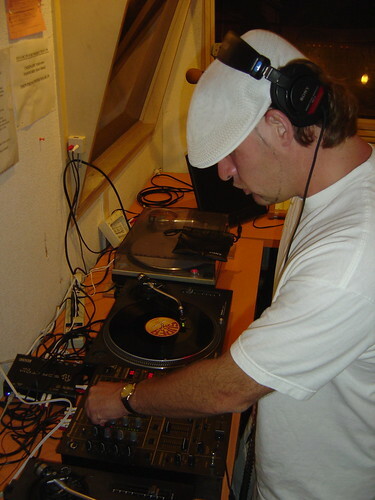 The DJs on 90hz are experienced and committed to quality house music, creativity, and interactivity. The community is supportive, and we would say that they are “jazzed about non-commercial radio and artists with soul” – just like us! To tune in, please visit our Listen page. We’re grateful the the University of Hawaii for supporting and nurturing the growth of this show for nearly 6 years. We’re appreciative to all of the KTUH directors who have supported us and all of the djs who have been so encouraging. We’re thankful to all of the djs who voted for us to be “KTUH Best Show of 2006″. But most of all, we’re thankful to all of the listeners who have continued to tune in every Thursday from 9pm to midnight for over half a decade. (You like us, you really like us!) Special thanks to all of the djs and promoters who have supported this show over the years, and especially for our good friends who have provided fabulous live dj mixes for our listeners every week since March 2003. Let’s keep in touch! You are currently browsing the The So Very Show weblog archives for the month August, 2007.